Since 1785, the River Antoine Rum Distillery in Grenada has faithfully focused on one single thing, making classic Caribbean rum. 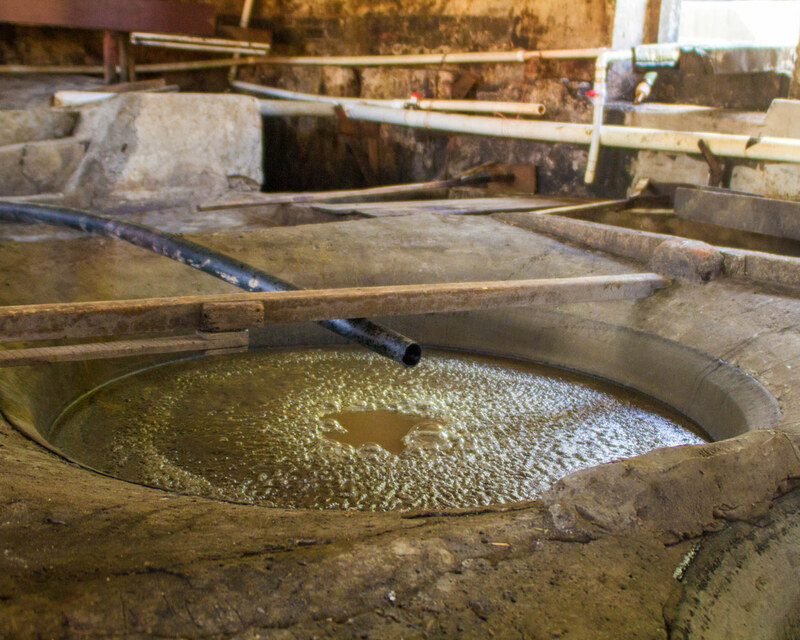 What makes the River Antoine Rum Distillery such a fascinating place isn’t just the potent rum that it produces, but the fact that they do it in almost exactly the same way now, using almost exactly the same methods as nearly 250 years ago! Before visiting the River Antoine Rum Distillery in Grenada, our guide Mandoo, who took us on an aromatic spice tour of Grenada, brought us up to nearby Lake Antoine. The area features incredible views. 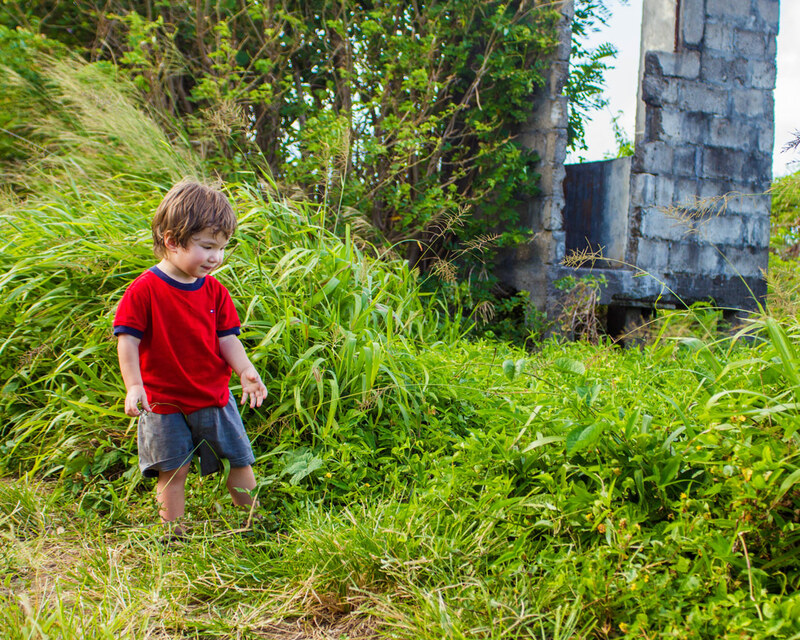 It also houses the ruins of several small residences destroyed by some of the islands most notorious hurricanes. Lake Antoine sits inside an extinct volcano amidst the incredible Grenadian greenery. 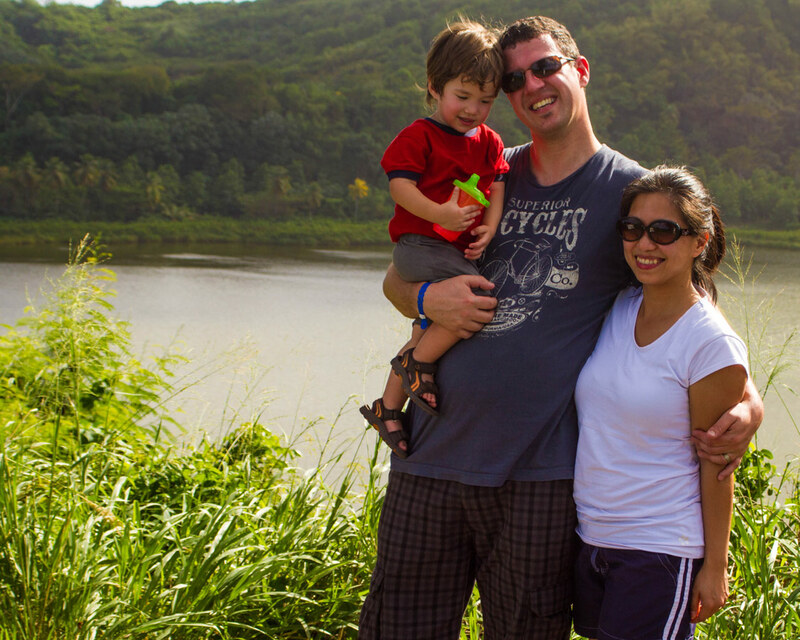 Lake Antoine is a paradise for bird watchers and used to have maintained walking paths that led along the rim. Unfortunately, maintenance of the paths no longer occurs. Access beyond the main overlook can be difficult. The River Antoine Rum Distillery in Grenada is in the Northeast of the island near Lake Antoine and the town of Tivoli. The second we arrived here, with our 2-year-old in tow, it was instantly obvious that this place had incredible character. 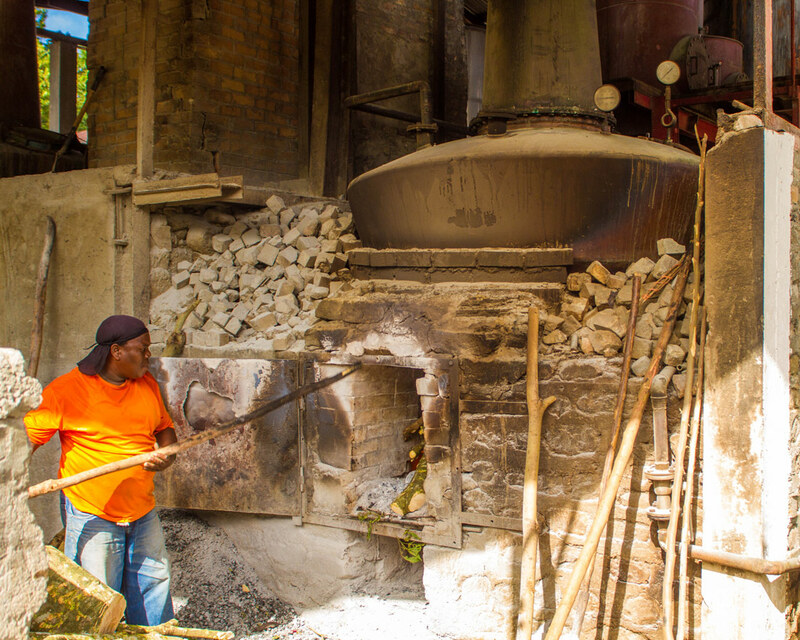 As we entered the distillery we were treated to the delicious smells of the sugar cane being stripped and crushed. The cane is loaded into a large mechanical wheel. The remains of which are pushed out to a small rail system that helps get rid of the excess. C loved playing in the shucks like a sandbox. As we continued to explore, it was amazing to see how the liquids were heated using a traditional hand stoked wood flame. There was no doubt that each drop of the River Antoine Rum came from hard days work! The hot sun and humid air had us sweating, and we searched for shade. Lucky for us, the distillery workers could point us to the best places to escape the heat. The juice is filtered by scooping up the chunks of the cane and then filtered through a wicker mat. The juice is directed into the main building where it is dumped into successive metal basins called ‘coppers‘. As we entered the distilling room to see the pots of rum aging, it was tough not to notice the ghoulish liquid fermenting into pots. Birds flew around shedding feathers … and other stuff. The liquid is boiled in the last copper pot. It was hard to believe that these bubbling potions would soon be the staple crystal clear elixir of the island. The open air allows the natural yeast to form for fermentation. This means no additional yeast is needed! As we rounded our tour of the River Antoine Rum Distillery in Grenada by entering the tasting room, I was happy to see that they had put as much work into its decor as they had into modernizing their operation. The room was barren with nothing but the rum barrel and a single fold-out table holding small paper cups. 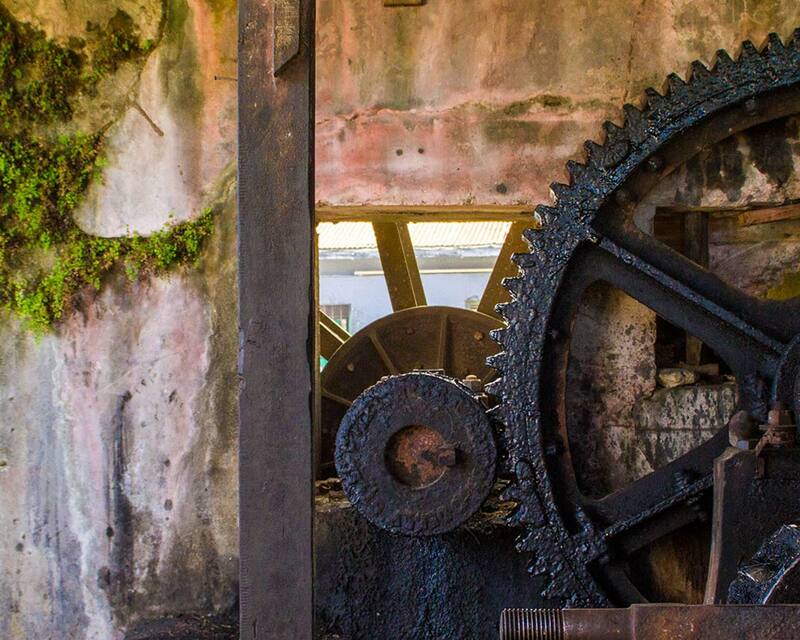 For many visitors, words fail to convey the character of the River Antoine Rum Distillery in Grenada. The lack of voice might be due to their vocal chords being numbed by the 140 proof rum that they just shot down their throat. River Antoine Rum is viciously strong and many visitors who join the tour have a difficult time keeping it down. The rum maintains a dedicated following among the locals. 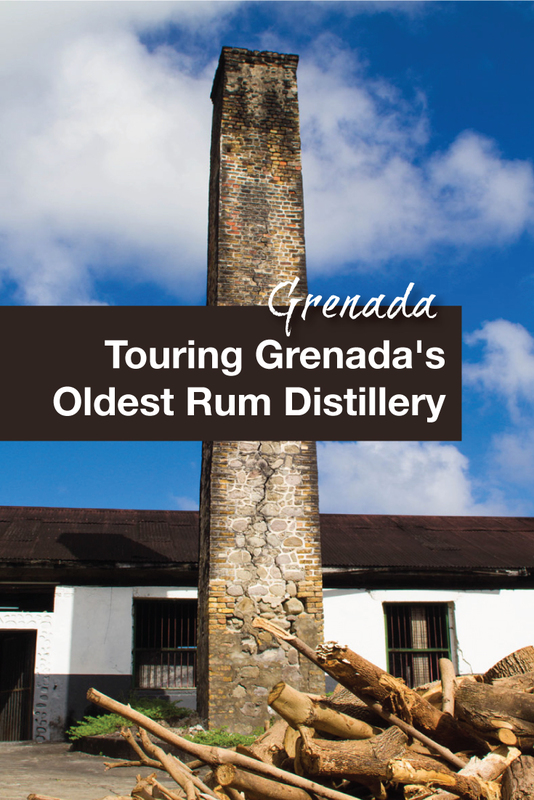 Nearly all of the rum from the distillery is consumed locally. The popularity is why the rum can’t be found outside of the island. 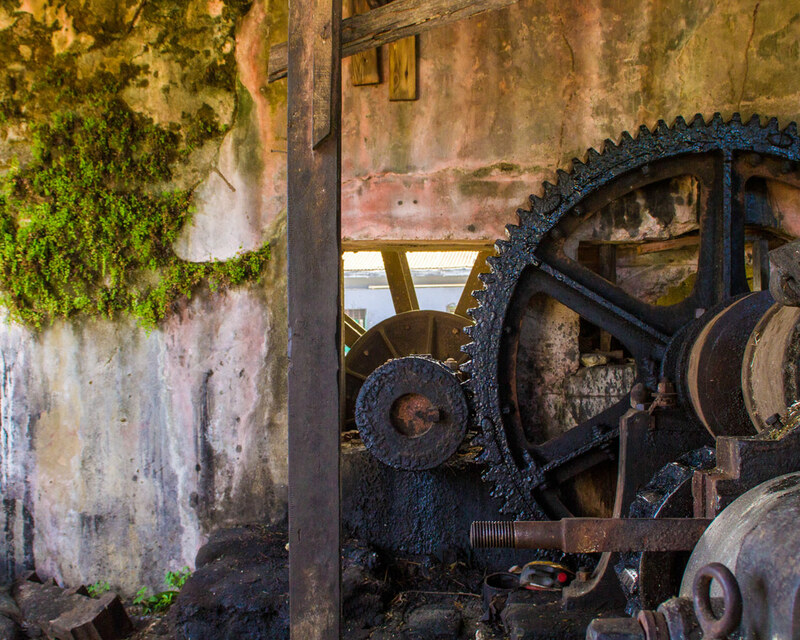 Otherwise, the River Antoine Rum Distillery in Grenada just couldn’t keep up with demand. I doubt it is somewhere I will go, but as a fan of brewery tours in England, I can appreciate this place! From your beautiful pictures, there’s a charming look and feel to this distillery which makes it quite special. It’s interesting to see first hand the process of making rum especially in such a beautiful setting.